If you are up to a great adventure with a lot of paranormal activity, you should play Haunted Halls: Nightmare Dwellers. This game offers not only great puzzles and searches, but also some entertaining turns of the story and presentaion of it! Such story requires some gorgeously creepy graphics and they are! The presentation of the game really adds to the experience. The game's story starts out with the invitation to deal with some strange thins in a mansion. A task that first seems pretty average for someone with the expertise in this area actually turns out to be much more complicated. There's a lot of work needs to be done and the tetacles that you come across of every turn seem to indicate that Dr. Blackmore is behind it. Such story requires some gorgeously creepy graphics and they are! The presentation of the game really adds to the experience. The game play doesn't show us anything new that we hadn't seen berore, nevertheless, it really is quite enjoyable. 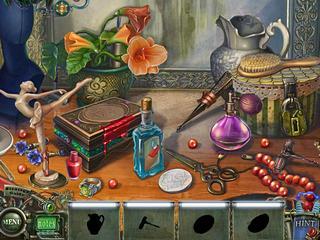 The hidden object scenes are interactive and supply some inventory for you. 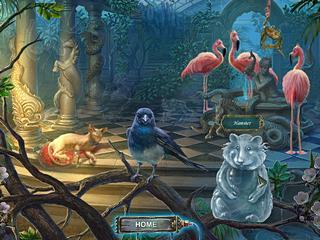 The puzzles are thought through very well and fun to play. A lot of achievements and collectibles all through the game. There's a journal and a map and other forms of help that you can either use or decline and make the please last longer. The game is really excellent and one the best out there these days. This is Haunted Halls: Nightmare Dwellers review. Download this game here.